Too many requests. 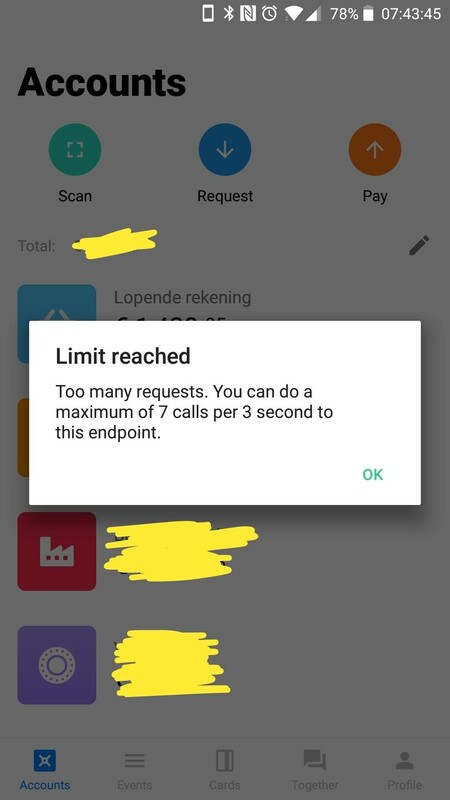 You can do a maximum of 7 calls per 3 second (!!) to this endpoint. Also the app seems a little more laggy lately than before. Android, on a OnePlus 3T.